Product categories of Silicon PU/PU Plastic Stadium, we are specialized manufacturers from China, Silicon Pu Plastic Stadium, Pu Plastic Stadium suppliers/factory, wholesale high-quality products of Mixed Non-Slip Plastic Stadium R & D and manufacturing, we have the perfect after-sales service and technical support. Look forward to your cooperation! 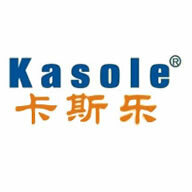 KASOLE Silicon PU course material is a new generation of course materials developed on the basis of PU course materials. The material is scientifically compounded by a polyurethane (PU) material and a material containing a silicone component, and the produced material is used on a ball surface layer to fundamentally and effectively solve the problem of professional performance and environmental protection of PU course materials. , lack of service life, routine maintenance, etc. Tennis, basketball, badminton, volleyball, table tennis, handball, boules and multi-purpose gymnasiums, gymnasiums, dance studios, schools, unit union activity rooms, multi-function halls, amusement parks, kindergartens, sporting goods stores, offices, hotels Any ground of the hospital. 5. Simple construction and easy maintenance.